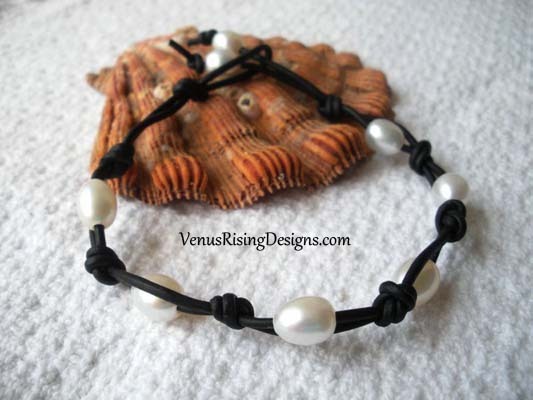 Soft-white pearls team up with a knotted, black leather cord. Bracelet is very comfortable and is adjustable 7-1/4" to 8-1/2". Contact me if you need a different size.